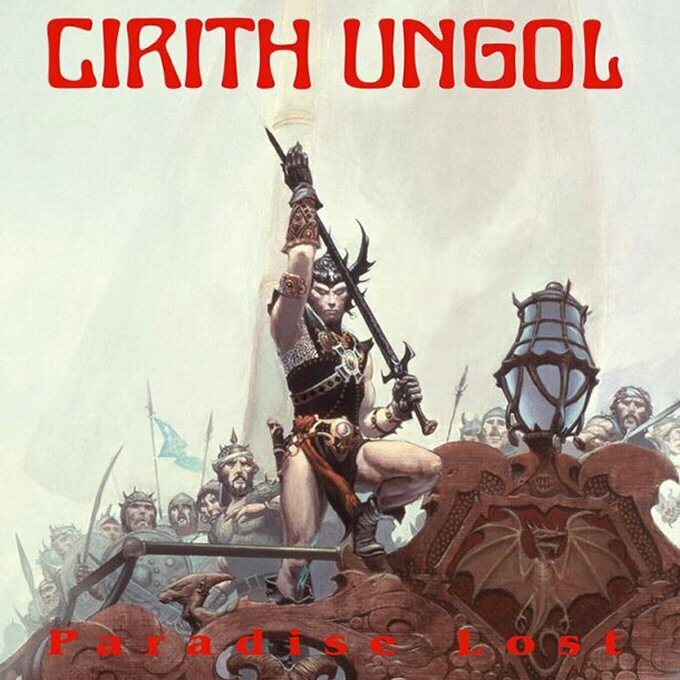 Cirith Ungol’s final album, Paradise Lost has finally been reissued for the first time since its release in 1991. 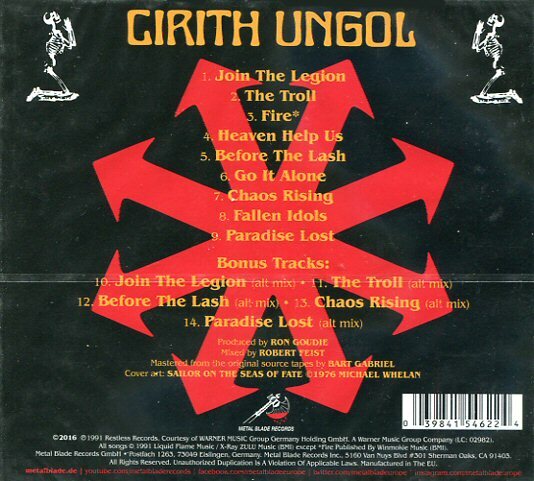 Metal Blade Records was unable to secure the rights to the album back when they released the first cd versions of the rest of the Cirith Ungol catalog in 1999. Drummer Robert Garven tells the story of Paradise Lost: “The saga of Cirith Ungol’s fourth album is true to its namesake “Paradise Lost”. Like a classic Greek tragedy, it is an epic tale filled with pain, challenges, battles, lost opportunities, and final redemption. It contains a cast of heroes and villains, playing out their parts on a stage of metal, at a time when hair bands and speed metal were in vogue. The seeds of this project grew from the fertile soil that was the aftermath of “One Foot in Hell”. After its release the band immediately started work on their fourth effort “Paradise Lost”. 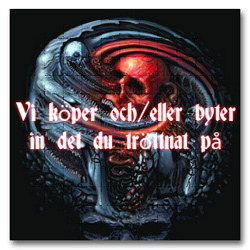 This was planned to be a concept album, and the album cover and theme had already been selected. After its release the original record company could not secure distribution in Europe, and they released the band from its 3 album deal. Shortly thereafter, several of the remaining members left out of frustration.